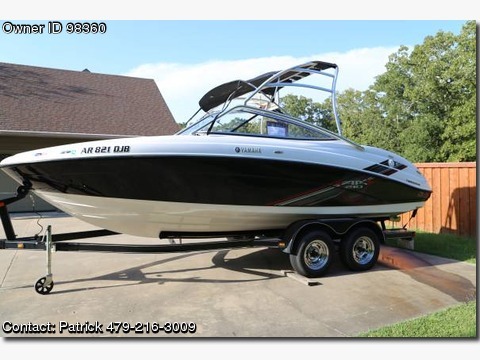 Boat is located in Mena,Arkansas.Please contact the owner directly @ 479-216-three zero zero nine…This a great boat that has provided some great times for my family. The only reason I&#39;m selling it is because I&#39;m buying a bigger Yamaha jet boat. This boat has been used for wake boarding, tubing and just hanging out on the water.. I always stored the boat inside during the winter months to keep it out of the weather. I&#39;ve had no problems with this boat, accept normal maintenance.